Know Your Numbers: Metabolism – A Healthy Balance, Inc.
Why is metabolism important? There are several factors that affect metabolism that are out of our control (genes, age, gender) and some that we can control (level of activity, muscle mass). As we all know, if you are trying to lose or maintain your weight, it comes down to a basic equation of calories in and calories out. Every individual’s metabolism is different, but yet most general recommendations around calorie counts and serving sizes are the same. So you can see the problem that would arise if you are someone with a low metabolism that is following a blanket 1400 calorie a day recommendation when in fact you only need 1200 calories a day. Here are A Healthy Balance, we have this device called the BodyGem® which measures your individual metabolic rate! How does it work? 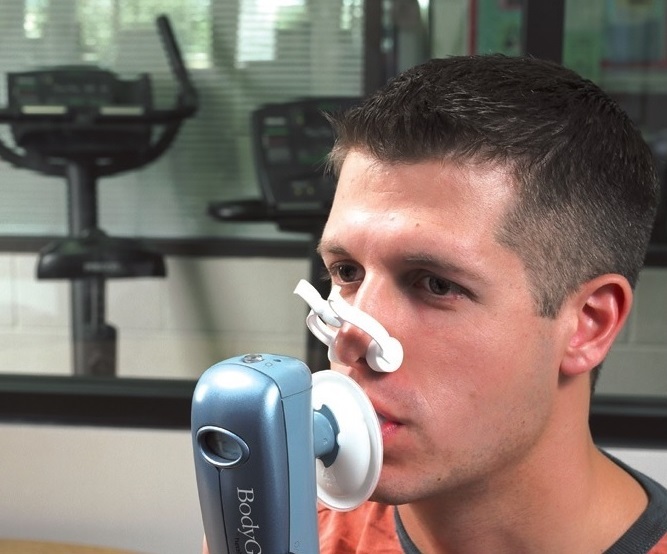 You breath into the device for about 10 minutes and, using your oxygen consumption, your resting metabolic rate (RMR) is calculated. Then what? Using this number, Andrea our world class dietitian can determine how many calories your body needs a day, taking into consi deration your exercise habits and occupational/lifestyle energy needs. Sounds cool! Should I do it? If you are looking to lose or maintain your current weight, knowing your RMR is very helpful. Otherwise, you are basically taking a stab in the dark as to your body’s needs. Alright, I’m in! Anything else I should know? You have to complete the test fasted. So basically, no food or drinks (except water) for at least for hours before the test. It is also recommended that you have not exercised in the previous 12 hours. Want to come get the test done with us? Contact Andrea@AHealthyBalanceInc.com to schedule!